These days I am taking part in a workshop of photography and self-esteem and they asked us to take an image with all the things that form a part of our lives. This image is my life, everything what I like and I love. That’s me! Harry Potter’s wand, I love magic! My lovely camera Fuji X-100. My precious!!! My mom’s earrings. I miss her! Music. I love music and I love “El Kanka”. My fan and glasses. My inseparable companions, lately. My computer, tablet and Netflix. 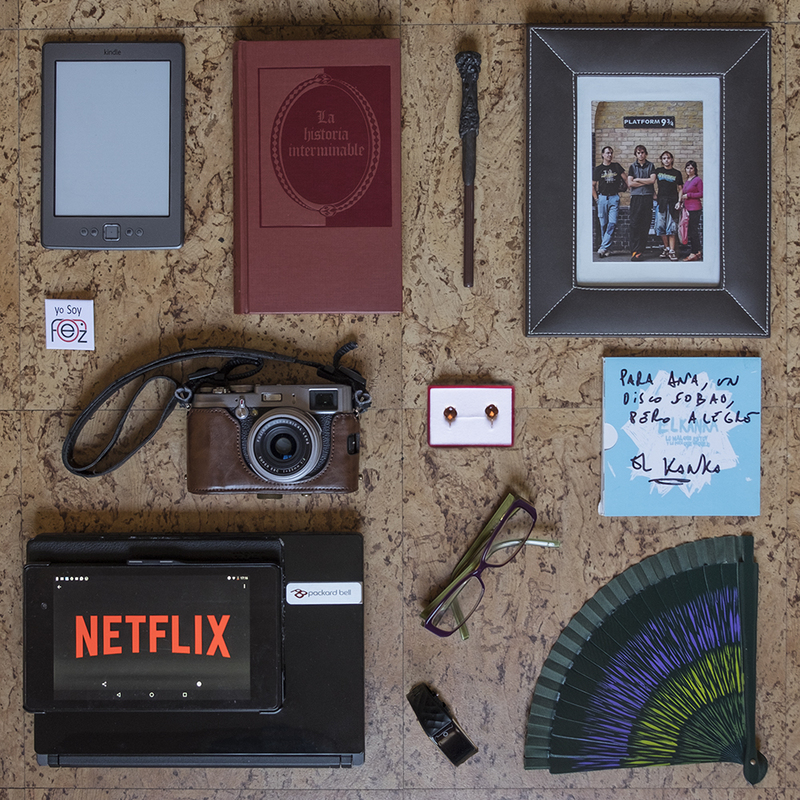 This entry was posted in Colour, Knolling and tagged Cosas, El Kanka, esfujifilmx, Fotografía, Fuji, Netflix, Objetos, Personal, Photography, Self-esteem, Things, Workshop, X-T1, X100. Bookmark the permalink.